Well, here we are. Season Fve of The Wire, the final season. Obviously, I was curious to see how it was going to wrap itself up. In addition to dealing with old storylines in come the newspapers as a key piece. Granted, this is something the show has done before, with Season Two's focus shift to the docks and Season Four focusing on the schools, so I wasn’t surprised. However, I was slightly taken aback by just how much time was spent on the newspaper stuff, especially since in doing so a few key characters from last season barely got any screentime. That being said, part of the issue was that time spent with the journalists wasn’t terribly interesting. It had some good stuff, sure, and it felt like a fairly detailed picture of how a newspaper is brought to life, which given David Simon’s time spent as a journalist isn’t surprising. While it played a key part in the main storyline of the season, none of the characters were all that interesting to me. Even the most important guy, the writer who was making up facts, wasn’t all that engaging. The newspaper storylines weren’t bad or anything. I overall thought it was pretty good. It was just a bit lacking given how much time we spent with the characters. On the other hand, McNulty getting more screentime was a positive. Back in the homicide division, McNulty is also off the wagon, and he finally cracks. The budget cutbacks in the government, and in particular the police, was another key storyline, and it was much more interesting. Now, I will say that before I ever watched a second of The Wire I had been warned about the McNulty storyline from season five. A lot of people didn’t like the whole “McNulty pretends somebody is killing homeless men” thing. I, however, didn’t think it was all that bad. It made sense for the character of McNulty, particularly when he is drinking. It made sense that Lester, a kindred spirit of McNulty in terms of not playing by the rules, would go along with it. It also made sense that Bunk wouldn’t say anything. I was worried that when Kima found out she would also not say anything, and that would have gone a bit too far. Fortunately, that didn’t happen. It wasn’t so much that I enjoyed McNulty’s storyline as much as it was that by this point in the show I just really enjoyed the characters of McNulty, Lester, and Bunk. Lester and Bunk are probably my two favorite characters on the show, so pretty much anything they did was at least somewhat worthwhile to me. On the other hand, characters like Marlo, Chris, and Snoop never became all that interesting to me. I thought Marlo’s involvement in the show was better than in previous seasons, but he never could hold a candle to Stringer or Avon, or even Prop Joe. Oh, Prop Joe. I’ll miss you most of all. The way Marlo’s storyline played out was more interesting than last season, and I particularly like the way it ended. The Wire had to strike the right balance of keeping its tone but also not being too bleak, and they succeeded. The way Marlo’s life was suddenly mirroring Stringer’s, whether he wanted it to or not, was a nice touch. Of the two main kid characters from Season Four, only Mike and Daquan remained key characters in Season Five. I liked the way their storylines played out as well, even if both were fairly big bummers, particularly how Daquan’s story ended up. However, thematically, it made a lot of sense in terms of the parallel storyline involving Bubbles. I liked that at least one character got some redemption on the show. All that being said, perhaps the thing that resonated the most regarding the season was what happened to Omar. I only new one thing about this show before I watched it, and that was how Omar’s story ended. Obviously, that lessened some of the impact of it when it happened, but I will say this to the show’s credit: Even though I knew that he was going to get killed, I was still surprised when it happened, given the way the scene played out, and given when in the season it happened. So, kudos to The Wire for that. Additionally, everything that happened in the season vis a vis Omar before his end was quite good. I also like how Mike’s storyline played out regarding Omar much like Bubbles and Daquan. Lastly, there was the political stuff, from the politics on the police force to Tommy Carcetti’s job as mayor to the indictment of Clay Davis. I came to really enjoy Carcetti as a character, and the political stuff in the show was almost always interesting to me. Plus, Clay Davis was always amusing. Aside from Omar’s storyline, the goings on in the mayor’s office was the best stuff in season five. Of course, I also appreciated seeing old characters get their cameos in the show, such as the Greeks or Nicky Sobotka or Namond. As for the series finale, I thought it was good, although it wasn’t all that spectacular. Not that it felt like the show was trying to have a big blowout finale. It just felt like another episode, even with the ending montage. The show could have continued it if they wanted it to, but they had told their story and that was that for them. I thought Season Five was good. I had heard a lot of people say it was the weakest, but I wouldn’t agree. If I were to rank the season of the show from worst to first, I’d go 4, 5, 1, 2, 3 personally. 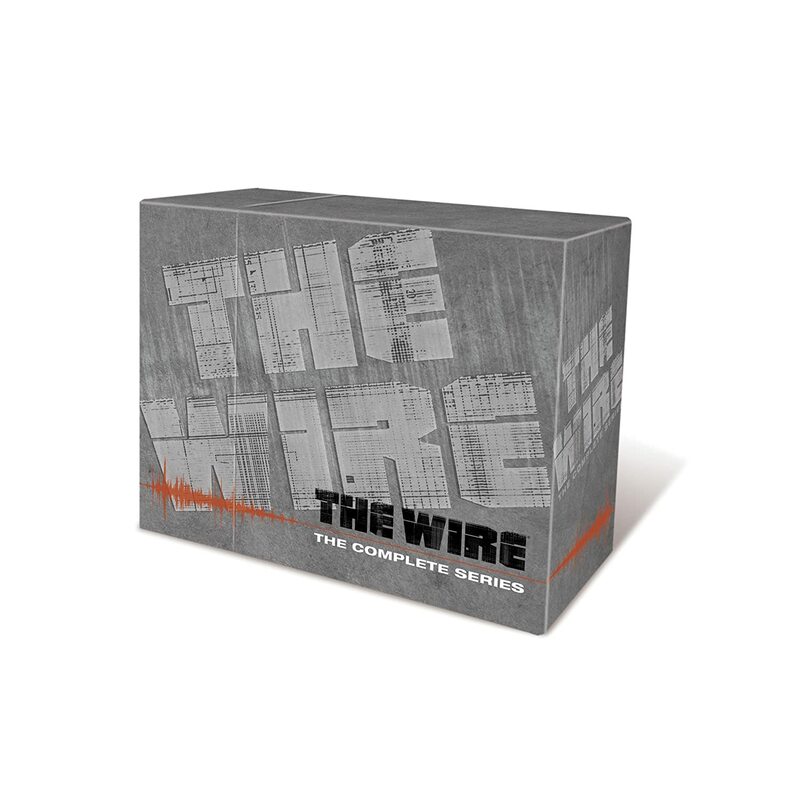 However, I thought every season was at least good, and overall I found The Wire to be a really good show. It was very consistent. Off the top of my head, I can’t think of an episode that wasn’t at least good, and certainly there weren’t any episodes than were bad or anything like that. It’s not my favorite drama of all time, and it certainly isn’t one of my favorite TV shows ever. That being said, I still really enjoyed it, and I am glad that I can now count myself among those who have seen The Wire. It had great characters, some great acting, memorable quotes, and engaging storylines. It was a series worth watching to be sure.